Drop in Aussies seeking hepatitis C cure. FDA OKs First-Line Tx for Unresectable Liver Cancer: First new upfront treatment option in over a decade. New online calculator predicts clinical improvement in liver failure after Hep C treatment. Hindi and Punjabi HBV and HCV Pamphlets Now Availalable. Patients with chronic HBV die at younger age. Serum M2BPGi Reliably Assesses Liver Fibrosis in Chronic Hepatitis B.
July 28 World Hepatitis Day Sample Social Media Posts. BCCDC Grand Rounds for primary care on HCV; MoC credits available. Vancouver Infectious Diseases Centre: Find 50. Physician-Treaters in BC for HepB and HepC Updated. Hepatitis C – The disease with no warning. Switching to Tenofovir vs Continuing Entecavir in Chronic Hepatitis B.
Canada is facing a tsunami of liver disease and cancer: U of T expert – The Conversation with U of T’s Dr. Morris Sherman. Lungs from deceased donors with hepatitis C can be safely transplanted: researchers. 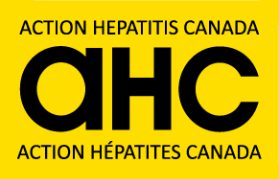 BC Centre for Disease Control Responds to Recent Findings on Hep C.
DAA Therapy Outcomes in HCV-Infected Transplant Candidates after Organ Delisting. U.S.: Half of hepatitis C patients with private insurance denied life-saving drugs. Findings could lead to treatment of hepatitis B. Addressing Palliative Care in Hepatocellular Carcinoma.